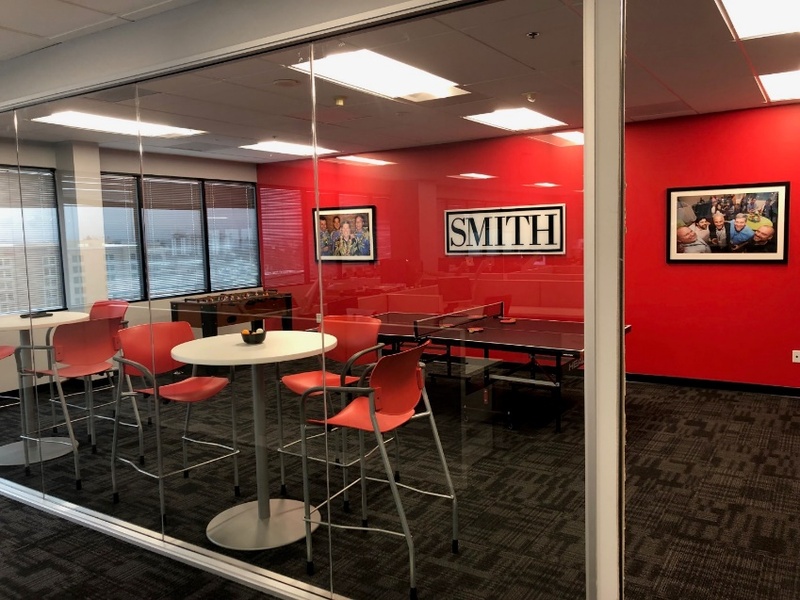 February 5, 2019, SAN JOSE, CA – San Jose-based Briggs Development announces Smith & Associates as the latest tenant to move into their newly-renovated office building located at 100 Century Center Court in San Jose. A global distributor of electronic components and semiconductors, Smith provides reliable supply-chain procurement and service solutions by sourcing, managing, and distributing the electronic components that go into everything from mobile phones and computers, to appliances and directional drilling systems. Their new space—on the seventh floor of the 107,000-square foot Center with market-ready suites—is conveniently-located near the San Jose International Airport, allowing for easier face-to-face interactions and networking opportunities with customers. Their 5,824 square feet of open concept office space features a private office, a conference room, a small meeting room and a high-tech breakroom with photo lounge area, TV, foosball, and ping-pong table. "As the largest independent distributor of electronic components operating in 16 global locations, S&A Sales (SMITH) is a valued supply chain solutions provider and electronic hardware sourcing partner to our clients around the world. We are excited to partner with Briggs Development to secure our new office space at Century Center in the heart of the Silicon Valley,” says Luis Freitas, Trading Manager at Smith. “At this new location, our vision is to have a lot more face-to-face interactions with our customers who are located in the Bay Area, expanding our local business and networking opportunities." For more information about Smith, visit www.smithweb.com.